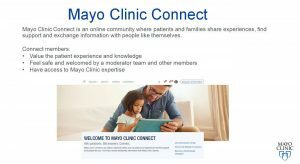 This is what we heard from Mayo Clinic physicians and staff as we told them about Mayo Clinic Connect, our online patient-to-patient community. When you get reactions like this from your colleagues, you want to equip them with tools they can use to promote your new resource or program. As we know, word of mouth is the most powerful marketing tool. Make it easy for colleagues to talk about your program or resource and offer them words they can use. We produced copy for two different audiences. First for a peer audience, so staff could tell colleagues in and outside of Mayo Clinic about our online patient community. We also reframed the copy for conversations with patients, so they could offer the resource to patients and families that they see in their practice or with their own friends and family. Social media is one of our primary drivers of conversion. A significant number of people who visit Connect as a result of social sharing convert from visitor to registrant to contributor. We know that many of our staff are on social media, so we created ready-to-go social media messages for Facebook, Twitter and LinkedIn to help them help us increase the reach of social sharing. And of course, everyone still wants print collateral. So far we’ve produced a tear card on heavy stock. The tear card is 2 identical postcards shaped like a smartphone, so people can keep one copy for themselves and share the other copy with a friend or family member. We also prepared an easy 1-2-3 step instruction sheet for display at patient computer terminals throughout Mayo Clinic. 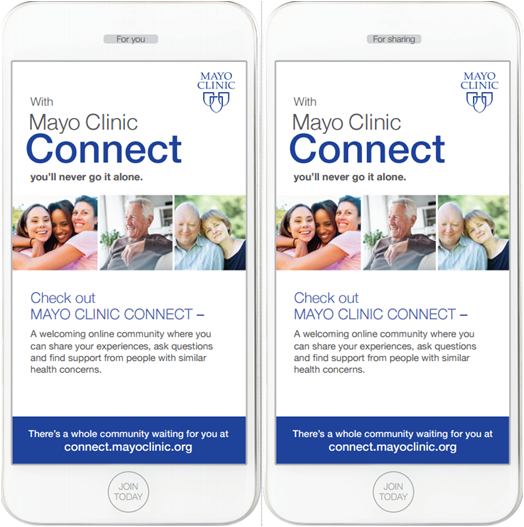 Once we produced the Mayo Clinic Connect Promotional Toolkit for staff, we thought, why not share this with everyone? Next time you capture the imagination and enthusiasm of your colleagues after a presentation about an exciting new tool, resource or program, don’t leave them empty-handed. Equip your advocates! What would you add to a promotional toolkit? “I can’t wait to tell my patients about this. I can’t wait to tell my patients about this. Have you got any brochures? How can I get involved? Thanks for sharing these ideas, @colleenyoung. Your explanation of the share cards cleared up a mystery for me. When I first saw them, I wondered why they hadn’t finished trimming out the cards. I immediately separated them on the perforation and left one behind. That one might take a little education :-). Have you considered video? 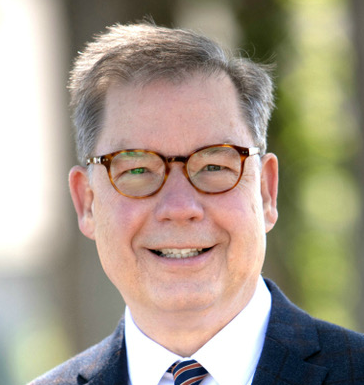 Testimonials from Mayo Connect members could be a powerful message to share on social media. Thanks for the suggestion Dan. We are currently considering video content and working them into our 2017 strategy. Are people tired of testimonials? I’m looking for fresh ways to present the community. Would it be folly to overlook testimonials or what would be a fresh way to present them? I think testimonials will always be powerful, @colleenyoung. What morphs over time is how they’re presented. 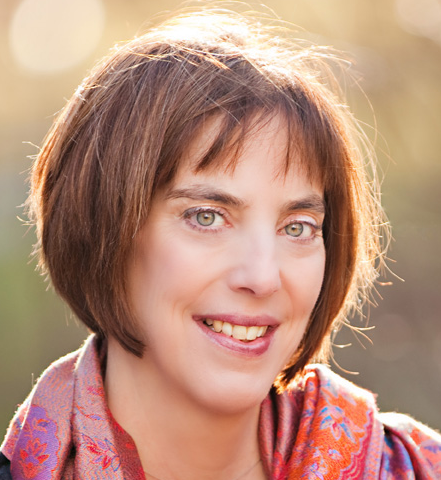 I would create a few 30-second testimonials and one longer – maybe 5 minutes or so – where a member shares an emotional experience in some detail. But I don’t know what your key objectives are for 2017. Would these fit?